Disclaimer: This post's title isn't exactly the most relevant but I wanted so badly to use it. So it's officially "fall" and in Hawaii that basically means it rains a little more than usual, it's windier, and MAYBE the temperature drops a degree or two. To battle the "I miss seasons" stage, I try to recreate fall moments. 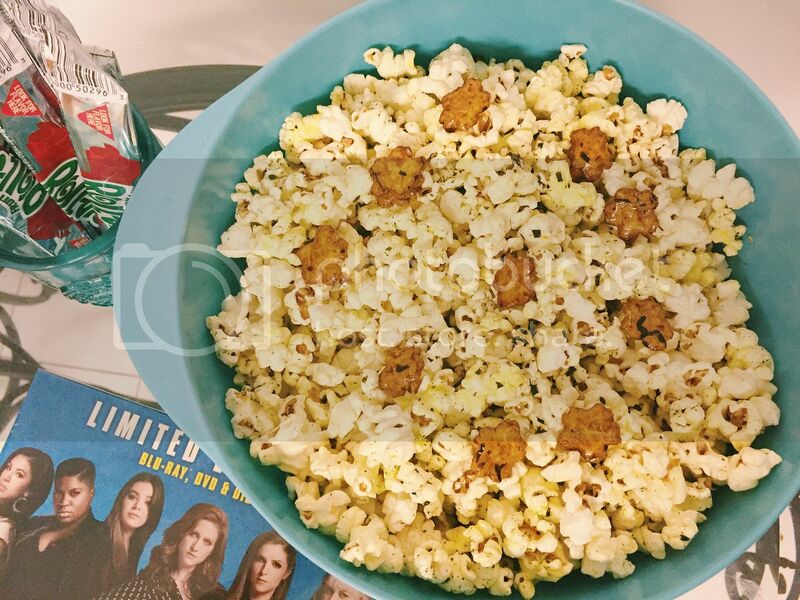 Cozy movie nights in with tasty treats and fall-scented candles is one of them. When I heard that Pitch Perfect 2 was finally out on Blu-Ray, I ran to Walmart to snag a copy, duh. Then I got really excited when I saw the combo pack that includes the soundtrack! And I don't know about you but I MUST have a snack while watching a movie. 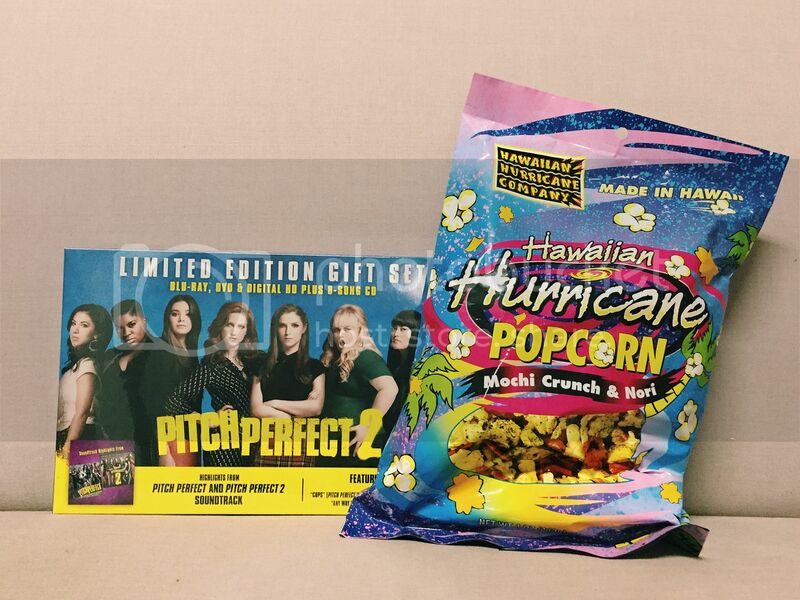 A local movie-snack favorite in Hawaii is hurricane popcorn. 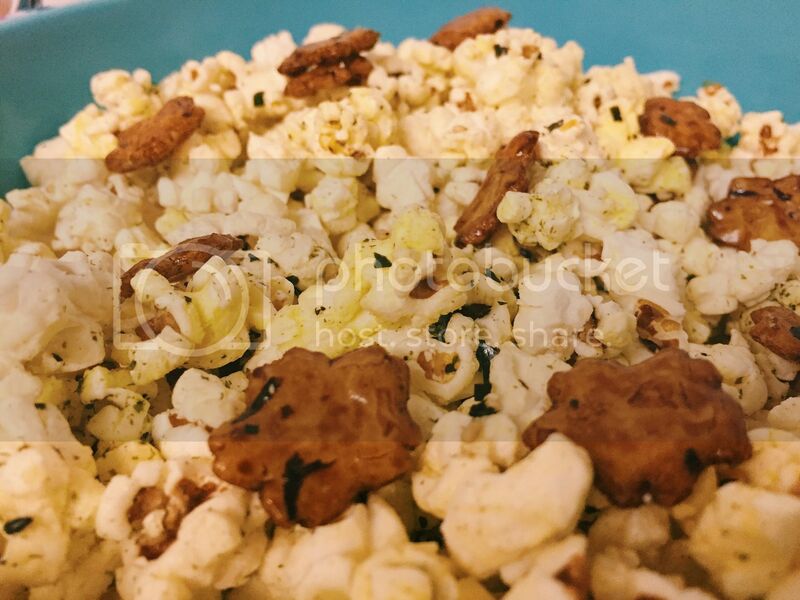 Hurricane popcorn is a mix of buttered popcorn, rice crackers (little crackers, kinda salty, and tastes like they're seasoned with soy sauce), and sprinkled with nori (seaweed, like the stuff you wrap around sushi). To mainlanders - I know this doesn't sound too appetizing. It's an acquired taste for sure. I don't like the overwhelming taste of nori so I usually pop another bag or two of traditional buttered popcorn to mix in with the hurricane stuff. 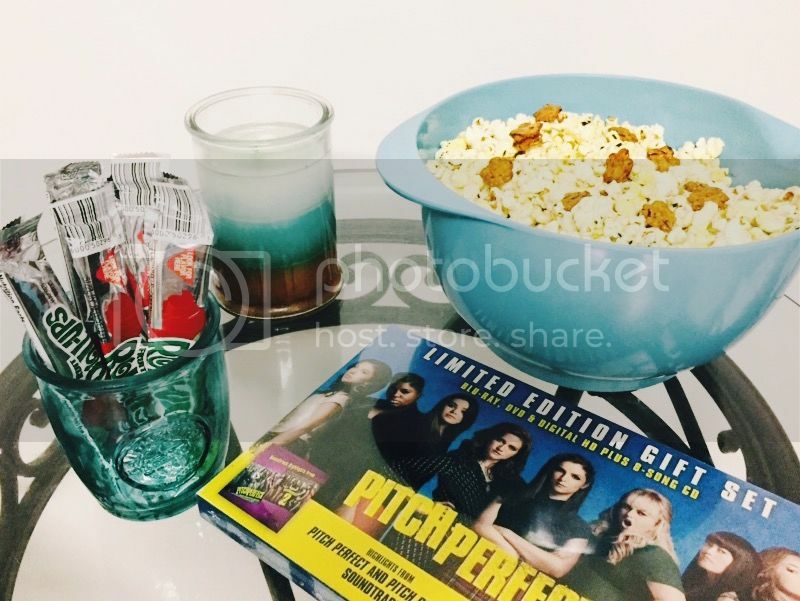 Head to Walmart to grab the exclusive Pitch Perfect 2 Blu-Ray/Soundtrack combo pack. Soundtrack includes some of your favorite songs from Pitch Perfect and Pitch Perfect 2 (while supplies last). 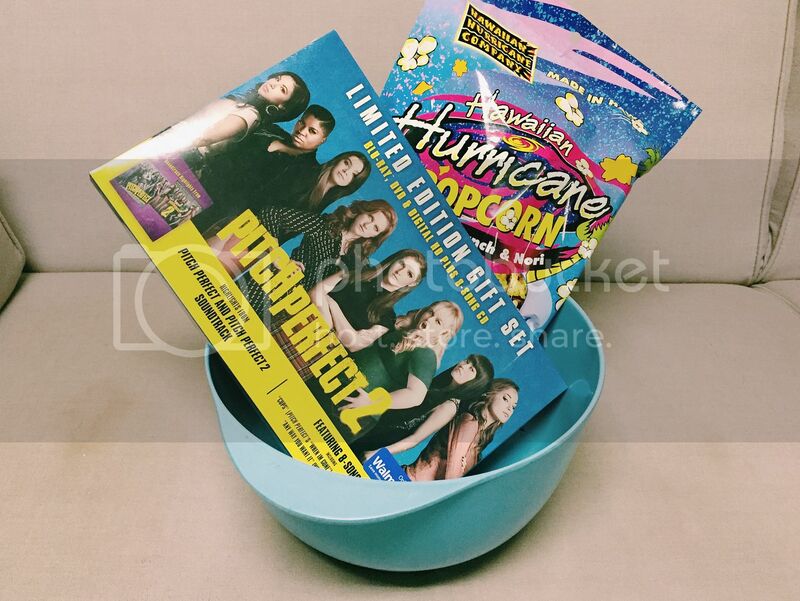 And if you're in Hawaii, grab a bag of hurricane popcorn while you're there too! I love this! And I LOVE this post title! We finally watched it the other night - I love all of them. And that popcorn sounds delish! omg this looks like the makings for a perfect night!! !